There are very few companies – and certainly none at the scale of Apple – for whom design and specifically the culture of design is such a central tenet of their modus operandi. It’s almost ridiculous to think it’s only been in the short space of 20 years that Apple has revolutionised our lives with its products, fundamentally changing the way we relate to each other and the world around us through their design, function and form. As the chief architect of a product’s future life, Jony Ive has had the role and responsibility of shaping ours since joining the company in 1992. When I was invited to visit the fiercely guarded inner sanctum of the design studio at Infinite Loop in Cupertino for a personal tour by Ive’s right-hand Richard Howarth, I was shocked by the maker culture that existed among the 18 or so designers that shared this convivial, industrial workshop. It was all about the handmade, the crafting, the rapid prototyping of design ideas. 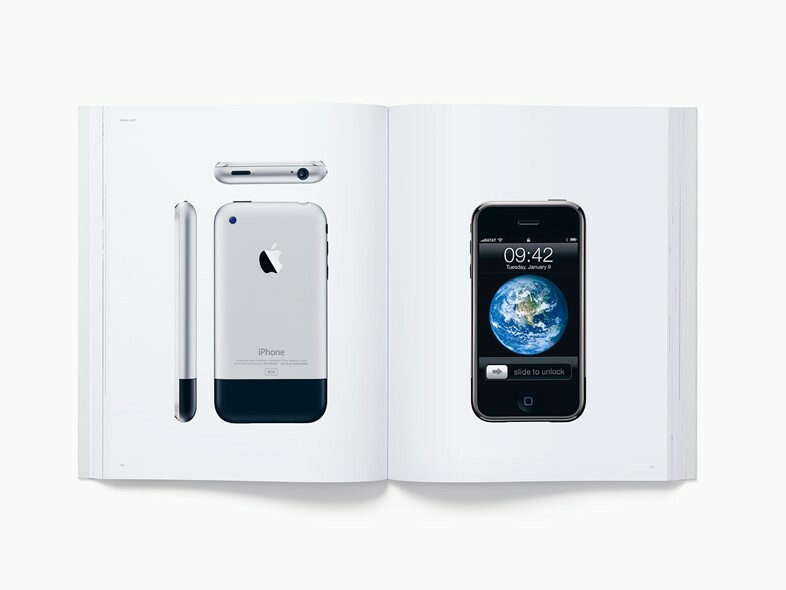 Designed by Apple in California is a 450-page visualisation of the output of this studio. Lensed by photographer Andrew Zuckerman, and exquisitely printed on the finest bespoke paper, it is an inspired study of the studio’s output. We witness the evolution of product design, the acceleration of engineering, the inevitable natural selection of materials, the rise of dominant hierarchies of form and technologies as the book unfolds as both a deconstruction and reconstruction of Ive’s own creation mythology; the bringing a sense of order to that which was once chaotic and complex. Alongside the insides and outsides of the products themselves we witness the tools that go into their making; it’s a deliberate attempt to show that design is in every aspect of the process – even in designing the tools that design the tools that design the products. Read our interview with Jony Ive below and see an exclusive behind-the-scenes film as well. Why a book, and why now? 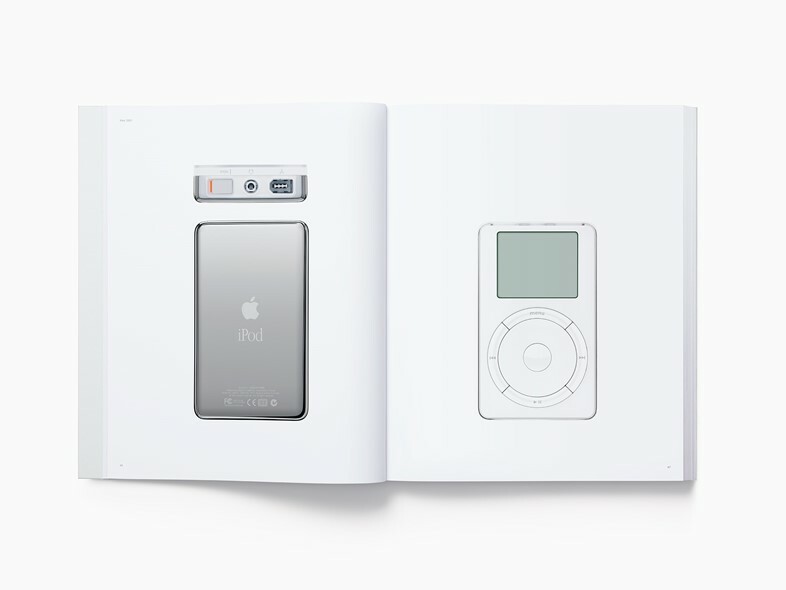 Jony Ive: We started the project about eight years ago, with the feeling that we had a responsibility to try and create an archive of what we’ve done. Honestly, it felt more of an obligation than something that we felt really compelled to do. The reason for that, and I guess it’s a fairly obvious one, is that as designers, we are far more interested in and consumed by the future; in what doesn’t exist yet. But we’ve been working together for 20, 25 years, and it felt like the right and appropriate thing to do. You get a sense of what we’ve learned as a team and of how technology is evolving. In the introduction, you talk about always striving to create something simple – could you define your concept of simplicity? Jony Ive: What we try to do is get to a point where it seems almost undesigned, where it seems so obvious that an alternative would seem contrived and not rational. To get to that point of that ‘perceived inevitability’ is extremely difficult. I think that it’s very easy to make something appear simple; some objects have simplicity as a style, but nothing simple about how they function and how they were conceived in their core architecture. We sense the intrinsic simplicity of an object that starts with the core architecture of the object and the outworking of that. One of our jobs is to try and bring some order to what is chaotic and complex. If you just enforce an aesthetic style onto something, very often you are aware of the designer wagging their tail in your face. I think that it’s the designer’s job to try and solve problems that in their resolution do not allow complexity to become apparent. I think that’s really important. Your title at Apple is Chief Design Officer but you also oversee human interface. What does that actually mean? Jony Ive: I built the industrial design team and that’s been something I’ve done over the last 25 years, but more recently I was asked to help form and lead the human interface design team. That’s a team, it’s clearly not a discipline and practice, which has been a significant part of my past, and I think that there’s the contribution I can make. I’m very aware of the extent of the contribution but what I’ve enjoyed doing and I hope, with a degree of success, has been to build a team that has a strong culture of design. A defining characteristic of myself is a hunger to learn, and being hopelessly inquisitive. I think one of the things that is particularly unusual, that many people would say is actually unique about Apple, is that it has decades and decades of experience and has really defined a culture of both hardware and software. Ultimately we are able to develop hardware and software together to create a singular experience – the iPhone was only possible because of developing hardware and software together. The scariest thing is how a very fragile idea, a very vulnerable idea can become an incredibly powerful, influential and profound product. There were multiple stages while we were working on the phone when solving problems wasn’t inevitable and we really did have concerns that it wasn’t viable, that it wasn’t going to work. I’ve read interviews with you where you talked about dialling people with your ear because you couldn’t figure out the interface for the multi-touch. Jony Ive: For a period of time it seemed that as a product that you pushed up against your ear and face there was a fundamental flaw in the thinking of the product. I think what we found on so many occasions, the only way we can solve the problem is (remembering that) we can’t just rely on hardware and we can’t just rely on software. It’s being able to design and combine and develop them both concurrently. In the book you really feel the evolutionary jumps – the thinner forms, single extrusions, designs becoming smaller, finer – and then you get the pencil at the end, which is almost like an exclamation mark. The pencil is such an intuitive design object to work with. You’ve used this phrase before I think, ‘strangely familiar’ – it feels so strangely familiar to me when I use it. Jony Ive: It’s so funny that you used that phrase. Yes I think it’s one of the contributions that design can make, that some physical objects that mark the future can have an ability to seem oddly familiar. Conversely it feels that with the rate of change in technology, so much more is possible. Do you feel like things are moving too slowly or too quickly in the evolution of material design and technology? Jony Ive: The problem becomes that things move at different rates. You can have certain technologies which move with such a velocity, that to harness their capability and to turn that performance into something compelling and relevant could mean development in other technologies at a similar rate. My frustration is that they don’t. There can be completely disproportional efforts that are required that make one step forward in one area and require the most extraordinary focus and effort and investment to make what may appear a relatively incremental improvement. Then you can have other areas where there could be extraordinary progress, but yes I think the challenge is that things don’t all share a uniform velocity in their development. Over the last ten years, I’ve seen an increasing appetite for the new. And what’s sometimes sad is that it might not be for something better, just for something new and different. New and different is actually really very easy. We could create something new and different this afternoon, but to actually do something that is materially better is very hard. The book is dedicated to Steve Jobs – are there any enduring principles that he taught you, that you hope to carry on in the work you do at Apple and pass on to others? Jony Ive: Somehow it even transcends principle. It’s how we worked together. It’s an entire approach, an entire attitude towards the work. I think it was the all-consuming nature of it being about the product. It begins and ends with the product and if your absolute and complete focus is sincerely to try and make the very best product, then all of the other issues tend to resolve themselves. Steve was an extraordinary man. We got to work together every day for hours and hours. Do you still feel like you’re designing the products that you and Steve talked and dreamed about? Jony Ive: That’s a really good point. It actually goes back to what I was saying earlier – there’s an unseen part of the discipline which is, ‘Okay look there’s a technology here that has this affordance that means we could do this, but we can’t yet because we need technology A, B and C, or we need this new material that doesn’t exist right now’. So we put things to one side, knowing that at some point we will carry on working on them again. There are things that we would partially prototype, that we couldn’t complete. It’s not a question of this being right, it’s just a question of when it’s right. What relaxes Jony Ive? When you’re not dreaming of our future. Jony Ive: I think I go and get a nice cup of tea, put a record on and sit down. There’s a luxury and an indulgence to that. In the introduction, you don’t use the word ‘emotion’. You used ‘care’ a lot, but not emotion – was that on purpose? Jony Ive: That was deliberate. I think the issue with designing things to elicit an emotional response, is that it can slip into contrivance very quickly. Jony Ive: I think so. I certainly think that your emotional response to what we’ve done is a consequence, and it’s for us to define. In the same way a lot of people have said, our products are iconic. That’s not for us to say. Sometimes a product assumes a sort of cultural significance and describing them as iconic is understandable and accurate in some ways, but it’s not something we could say. In the same way, we don’t design to elicit an emotion, but I hope that people develop a relationship with the products that is substantially emotional. But I never feel comfortable saying that we are designing emotional objects. Whose iPhone is it on page 135? The one that you’ve had photographed after ‘years of abuse’. 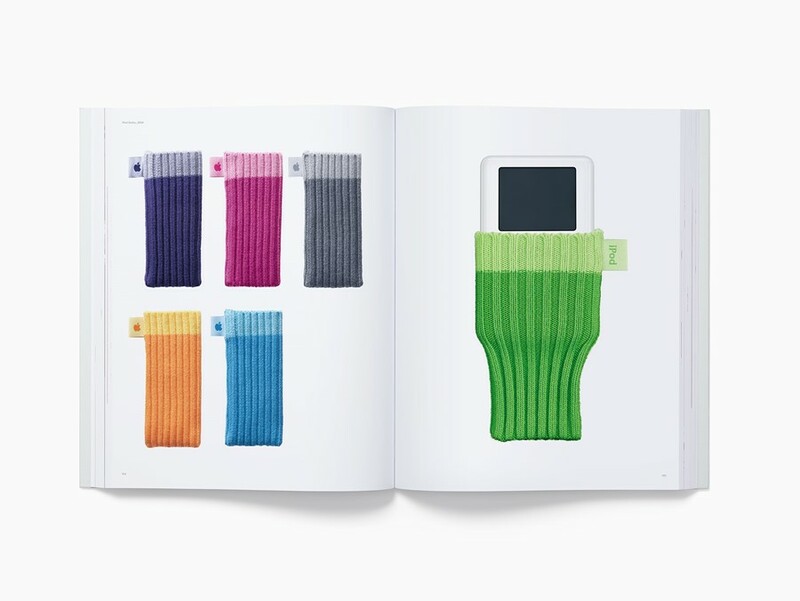 Jony Ive: That’s Evans Hankey’s iPhone, who manages the design studio. Isn’t it cool? She destroys her objects. But I thought there was something so charming about that. I thought it was lovely to put that in. We design tools to be used. And she definitely uses them! 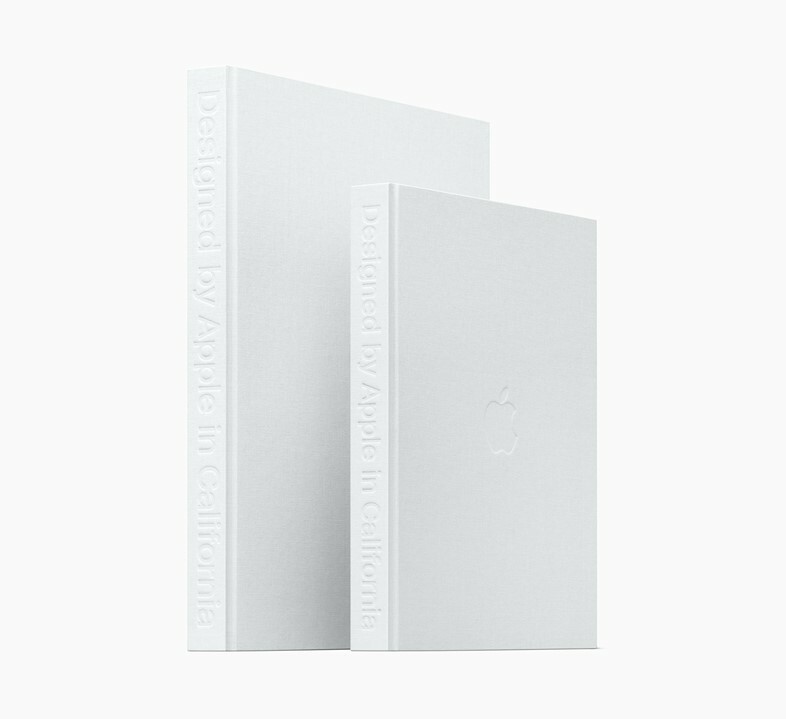 Designed by Apple in California is available in two sizes and printed on specially milled, custom-dyed paper with gilded matte silver edges, using eight color separations and low-ghost ink. This linen-bound, hardcover volume was developed over an eight-year period. It is published by Apple.